It was 1 a.m. when we'd ambled in through our front door with our luggage. It had been a long day of traveling that included a harrowing ordeal with near-missed flights and a shuttle van that made us wait on the curb for over an hour after our flight arrived at LAX. Not having consumed more than Pop Chips and Coke the whole day, we were starving. 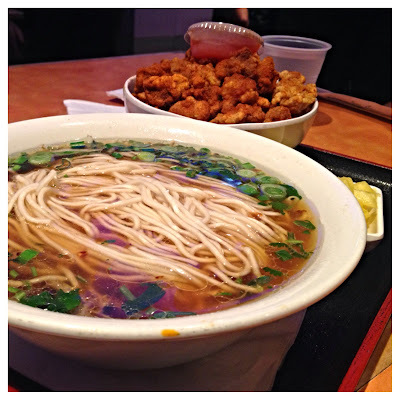 She was craving Tapioca Express' Crispy Chicken while I wanted noodles in soup. But earlier that night, as we waited on that arrivals terminal sidewalk cold and with stomachs growling, we realized our options for food were dwindling fast. It was close to midnight and the Tapioca Express we usually go to has long since closed. Honda-Ya for ramen would've been a possibility. They close at 1 a.m. But our negligent airport van company took that off the table since we were still on the road at 12:30 a.m. after finally picking us up fifteen minutes earlier. There was hope. There was Guppy House. It was still open when we got home at last and managed to drive over without passing out. Yet it wasn't just open; it was still hopping with thump-thumpy music and customers in their twenties who would presumably go off doing something else after they ate their meal and the restaurant closed at 2. We ordered the dish which seemed to be there just for us: the popcorn chicken noodle. An enormous bowl of fried chicken chunks dusted with spice for her; a big steaming bowl of noodles in soup for me. It was the kind of food I probably wouldn't think twice about under normal circumstances, but it was exactly what we needed at the moment we needed it. We Hoovered the noodles and gulped the salty broth as though it were the manna from heaven. In between sips, I marveled how good it was. How the al dente, snow-white strands danced in the green-onion and fat globule-flecked soup. How its steamy vapors warmed my face as I hunched over the bowl and slurped, slurped, slurped. While we shoved those chicken pieces into our mouths as if they were actual movie theater popcorn, we said to ourselves: "Home sweet home...and let's not use that shuttle company again." There was a time when we'd scoff at the kind of people who'd post nothing but pet pictures on their Facebook page. Or buy special pet treats that cost more than it costs to buy real food. Pets aren't people, we'd huff. Where we come from, we fed our dogs and cats dinner-table scraps. It was unfathomable to go to the supermarket and pay hard-earned money for kibble, let alone a specialty dog bakery, which could only exist in the one-percent part of the first-world. But that was before we puppy sat my sister's yorkie, a loveable furball who won over our hearts and then, our wallets. 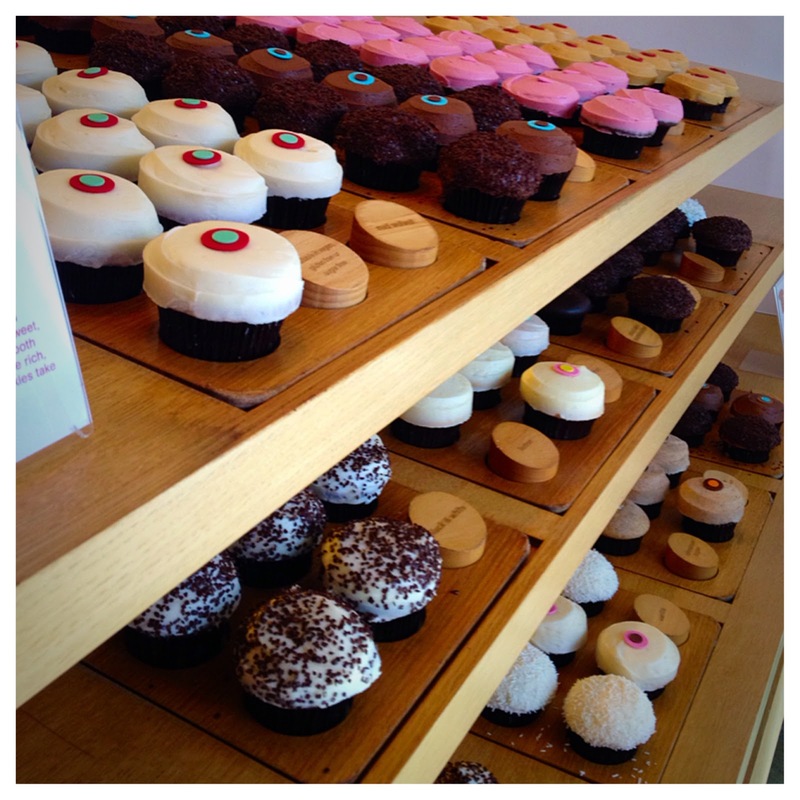 Now we've been to Sprinkles, an expensive cupcake place we wouldn't normally go for even ourselves. We went to buy the pooch a pupcake (yes, a cupcake for dogs) that's made with no sugar and yogurt icing for her 7th birthday. It even has a bone stenciled on the top. And, yes, our Facebook page is now also plastered with dog pictures. One of the latest is her devouring the cupcake while wearing a festive party hat and a pink princess tutu. 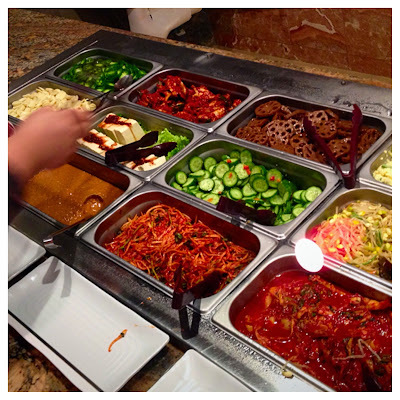 If you keep up with my reviews on OC Weekly, you'll know that the last restaurant I wrote about was Bulgogi House, an AYCE Korean BBQ palace in La Palma. In summary, I said that Bulgogi House is, without question, one of the grandest restaurants of its kind. You don't walk out; you crawl out, with your arms clutched around your sides and the feeling that your stomach is about to explode. But as you curse the heavens for your lack of self-control, you also pat yourself on the back on how you managed to eat more meat in one sitting than most people see in a month. "Good job, you!" you'll say to yourself, "You got your money's worth!" "Now where are my Tums?!" 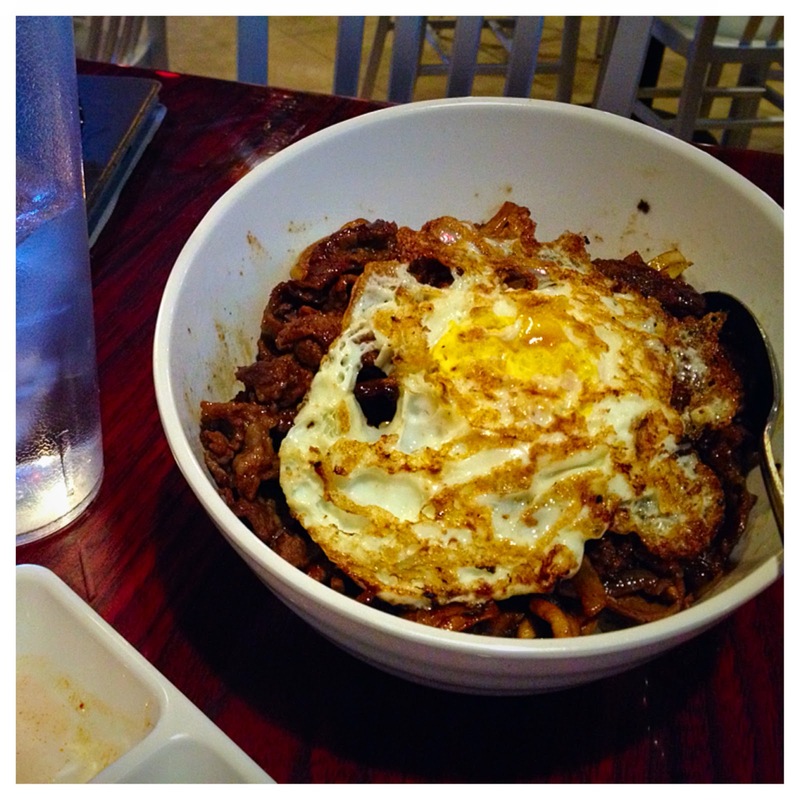 But in the last paragraph of my review, I mentioned that the bar offers a bulgogi bowl for $8. Yes, it's massive, with a fried egg, mushrooms, onions, and the pile of the sweet, sugary strips of lean marinated bulgogi weighing in at about a pound and a half; but it's an even better deal for another reason. After I ordered it, I was invited by the server to go and help myself to as many side dishes from the buffet as I wanted. I was kind of dumbfounded at the offer. Did he mean just the panchan? Or did I have carte blanche on everything the buffet offered, including the deep fried mandoos and the chicken wings? To be sure, I got a little of everything. That afternoon, I made out like a bandit and ate like fiend. I consumed way too much food for what I paid (even with an extra generous tip) and waddled out there in the same state as I did when I went to do the AYCE a week earlier. "Now where are my cholesterol meds?"